There are lots of Toy Story paper models around, but this functioning Woody marionette is my favorite. The template for this papercraft is available at the Disney Family website. 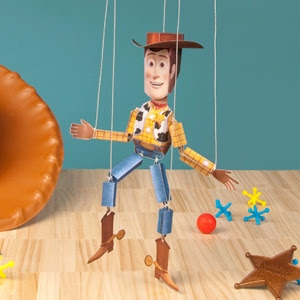 Woody is a pull string toy who is a primary character in all three of the Toy Story films. The plot of each movie revolves around Woody's relationship with an action figure toy named Buzz Lightyear. 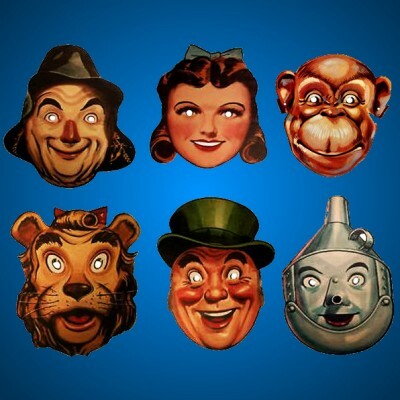 These paper masks of Wizard of Oz characters were released as promotional items in 1939 by Loew's Incorporated. Loew's was the parent company of MGM, the studio that produced the original Oz movie. The masks pictured are the Scarecrow, Dorothy, a winged monkey, the Cowardly Lion, the Wizard of Oz, and the Tin Woodsman. Images of these and other vintage masks may be viewed at Brechtbug's Flickr page here. Betcha the cootie catchers you made when you were a kid weren't as colorful as these. ;) Cootie catchers are those origami devices that have been used for years by kids to play "fortune telling" games. No one knows the origin of the cootie catcher, but according to one theory it had its beginning in seventeenth century Japan. 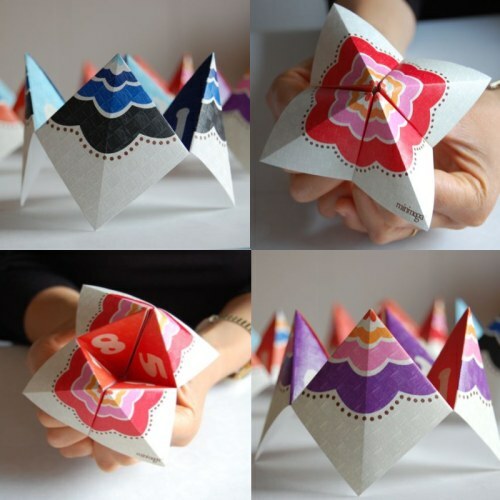 These cootie catchers were created by graphic designer Sara Andersen. Four templates with different color combinations may be downloaded here. The Final Fantasy video game character Sephiroth first appeared in Final Fantasy VII. Since his first appearance, Sephiroth has been featured in several other video games, among them Kingdom Hearts and Dissidia 012 Final Fantasy. 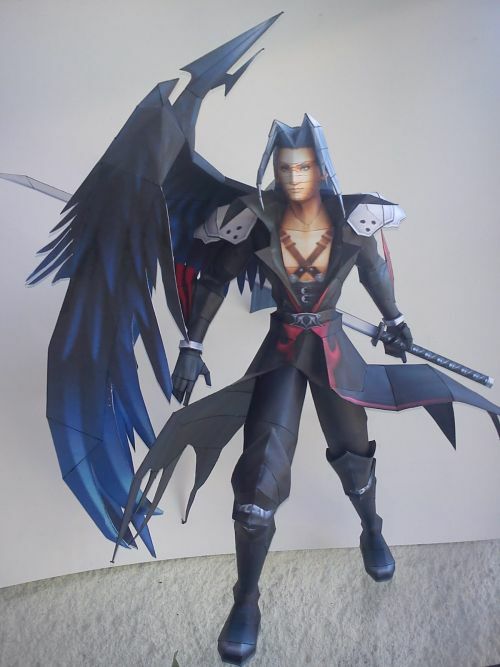 This paper model of Sephiroth wearing his KH costume is based on a 3D model from Dissidia 012. Since 1987, there have been three RoboCop movies. The films tell the story of Alex J. Murphy, a murdered Detroit police officer who is resurrected as a cyborg. 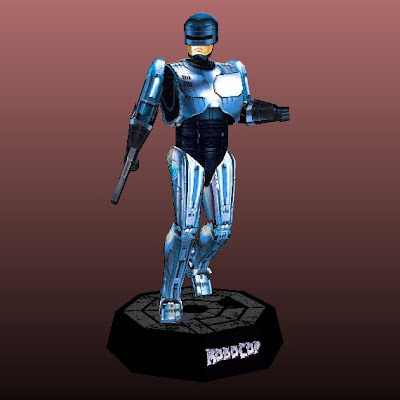 This 15" (39 cm) paper model of RoboCop by Elso of Uruguay is his homage to the movie series. The Pepakura PDO template for this papercraft may be downloaded here. These papercraft carrots make great treat boxes for Easter. They are just the right size for a handful of jelly beans. 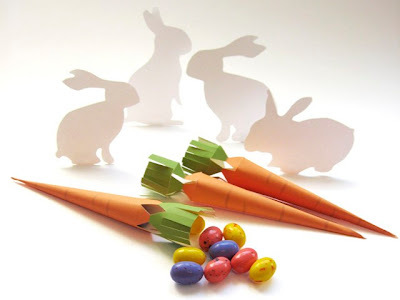 Each carrot is built from a single sheet of paper and held together with double sided tape. A PDF template for the carrots may be found here. 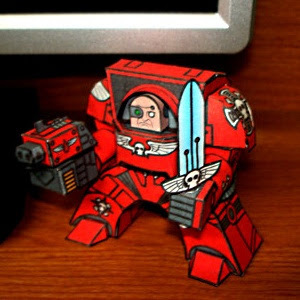 Jim Bowen created a whole slew of 3" tall paper Terminators from the miniature wargame Warhammer 40,0000. 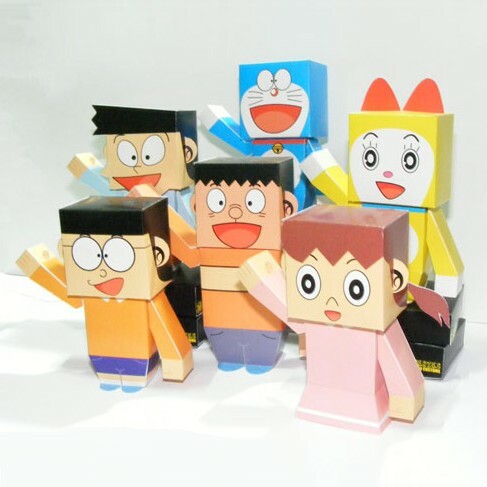 These papercraft toys are a little too large for use in miniature gaming but they work great as desktop decorations. Most of the Terminators include options for power fists, lightning claws, storm bolters, power weapons, storm shields and thunder hammers. Seven different PDF templates (including a blank one) may be downloaded here. 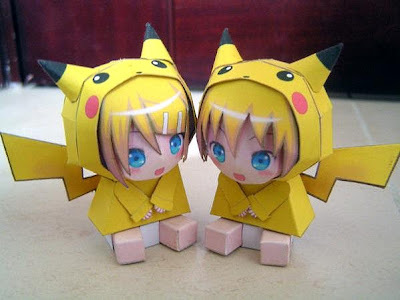 I wasn't quite sure what to call these papercraft cuties I found, but I settled on calling them "babies" because it looks like they are wearing diapers. The cuteness factor is increased by the fact each babe is wearing a Pikachu hoodie - just like my daughter's real life Pikachu hoodie, but with an added tail! The download for this papercraft includes photo instructions and a JPG template with an alternate face and hair. 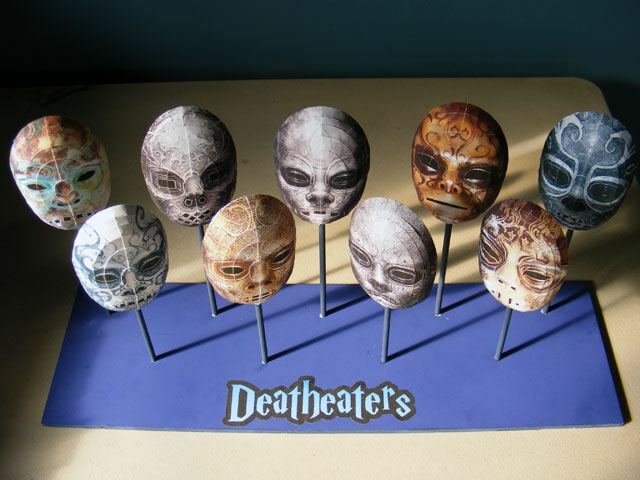 Joe L. in Pennsylvania built all nine of the masks in my Death Eater series. He also created a custom stand to display them. Nice work Joe! If I keep getting build photos as good as this I may just get inspired to add more masks to the series. Links to the original posts for each of the nine masks are located here. Here's some more papercraft Sailor Moon cats from Kinmoku. These cats are toys which, when blown, are supposed to scurry across the table top. For convenience I have converted the original .PCT format templates into A4 and Letter size PDF templates which may be downloaded here. 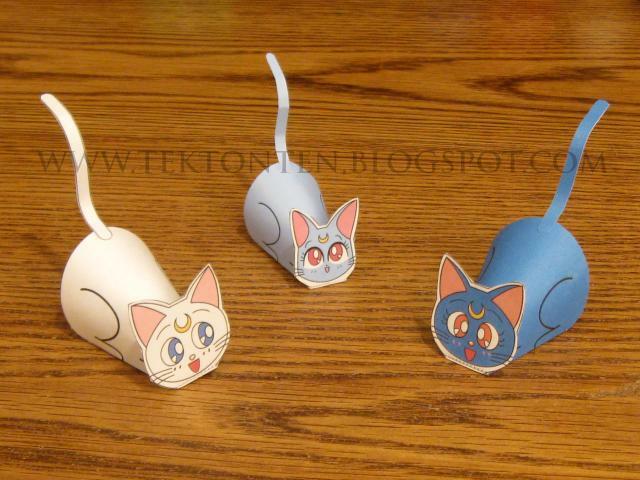 Previously, I posted three dimensional paper models of Artemis, Diana, and Luna. 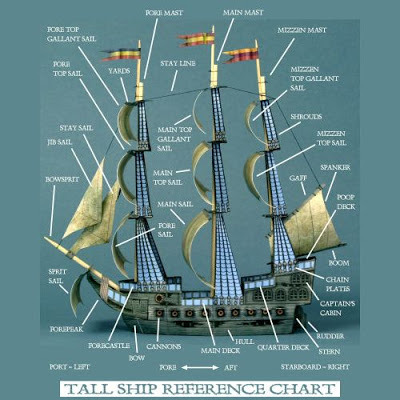 I always wondered where the poop deck and the mizzin mast were on a tall ship. ;) Now thanks to Ray O'Bannon at Ravensblight, not only can you learn the parts of a tall ship, you can build a paper model of one as well. Ravensblight specializes in haunted papercraft so this is a ghost ship of course. The PDF template for the ship may be downloaded here.